Here we will introduce the current process using plastic resin and silicone. 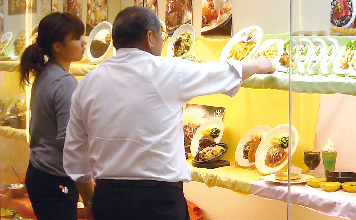 Sales representatives ask restaurants for what they want, and propose optimal replica foods to the restaurant. 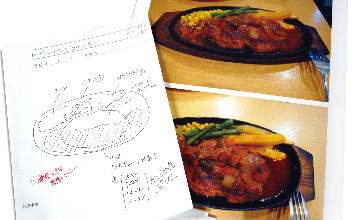 The actual food is provided from the restaurant, and a detailed record is made with photos and sketches of the ingredients and cooking methods. 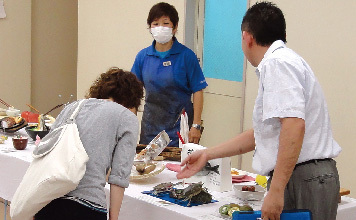 The ingredients of the samples of food (real food) brought back by the sales representatives are broken down, and are separated into those which require molding and those which can use off-the-shelf items. 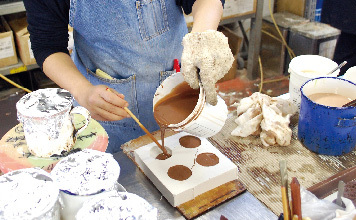 Molds are taken of the ingredients that need molding by covering them with silicone. 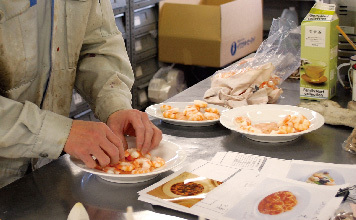 When the samples of food are removed from the hardened silicone the following day, the mold is complete. Plastic resin which has been colored with the food color is poured into the silicone mold and is then heated in an oven. 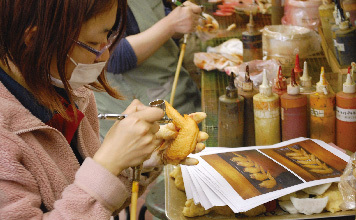 The heat-cured plastic resin is removed from the mold to be used as parts. The parts are colored, using airbrushes and brushes. The colored parts are then arranged on a vessel. 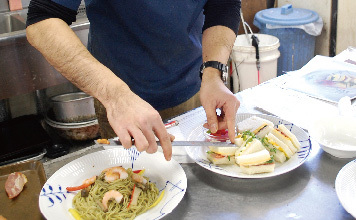 If necessary, there is secondary processing to add a sauce, or finishing work such as polishing etc. Prior to delivery, representatives carefully check to ensure that the product meets the customer’s demands. 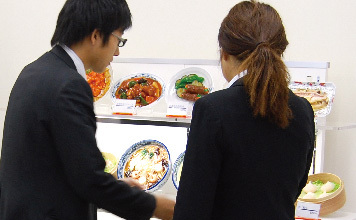 In most cases, the sales representatives will deliver the replica foods to the restaurant. At the same time, they will make suggestions as to how to most effectively display them.